A BMA spokesperson said the “Bermuda Monetary Authority [BMA] is committed to providing a regulatory environment for Bermuda’s financial services industry that both protects stakeholders and supports innovation. Says BMA CEO Jeremy Cox: “Today’s fast-paced global digital business environment needs to be accommodated for Bermuda to remain economically sound. Sometimes there may appear to be a contradiction between this fast forward new world and the BMA’s mandate to ensure that investors and other stakeholders can operate in a climate of confidence. The BMA said, “Mr. Cox notes that while the BMA can create a regulatory framework that enables new business ideas, potential investors also need to take their responsibilities seriously. For example, ‘disruptive technology’ is becoming increasingly important in the wider financial services industry. “However, because of its pioneering nature, disruptive technology is ground-breaking and therefore does not have a proven, longer-term track record. Indeed, in the early days, the telephone and personal computer were considered to be disruptive technology. “The BMA closely monitors global technological developments such as Initial Coin Offerings [ICOs]. At this time, these forms of investment vehicles are not subject to prudential regulation, which among other things requires regulated entities to hold sufficient capital and have adequate risk controls in place. “An ICO – sometimes referred to as an initial token offering – may be an unregulated method of raising funds for new ventures depending on the nature of the offering. It is used by start-ups to raise funds from various investors through the internet, bypassing the rigorous and regulated capital-raising process required by venture capitalists or banks. “With an ICO, investors are able to use cryptocurrency [such as bitcoin] to purchase coins or tokens via the internet for a set period of time. The ICOs are often global offerings which can be created and accepted anonymously. “Given their newness, and their inherent risks, ICOs tend to be supported by experienced investors with technical knowledge of cryptocurrency. “Unregulated space: Whether an ICO falls within BMA’s regulatory boundaries can only be decided on a case-by-case basis. Many ICOs are unregulated because there are no requirements with which they are required to comply at this time. ‘No investor protection: Bermuda’s regulated financial services companies have made a commitment to adhere to market codes of practice and transparency. These codes do not apply to an unregulated ICO. “Early stage projects: Typically, ICO projects are at the early stage of development and their business models are experimental, although traditional businesses may also use ICOs. Instead of a regulated prospectus, ICOs usually present potential investors with a ‘white paper’. Lol, on the day more than $200 billion was wiped off the bitcoin value! I made over $259,000 on bitcoin investment by getting in at the hundreds of dollars level! I love it when regulators want to stop us from making money so they can tax everything and claim that it protects us! Thank you for this information BMA! This is a measured and very important reminder. Thank you BMA. 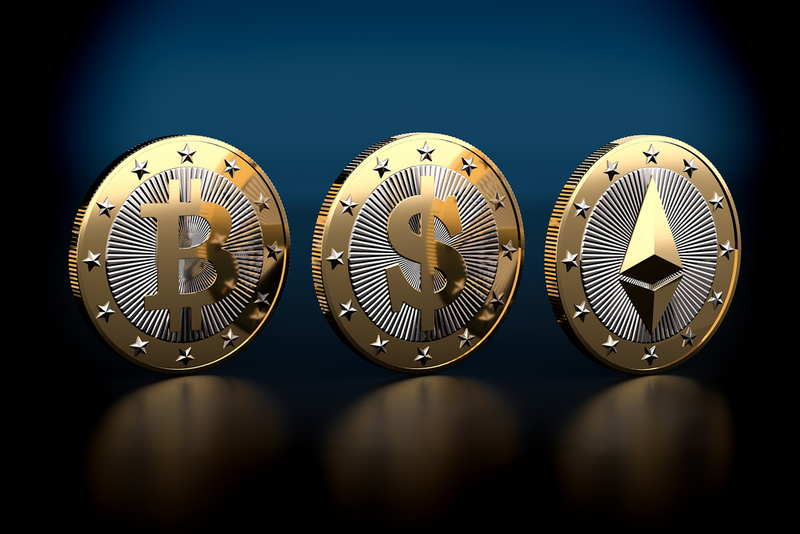 Cryptocurrencies are very much in fashion boasting incredible returns–this could be enticing to investors. Investors must absolutely be vigilent not only about the crypo “vehicles” but of all the other risks inherent in investing in these speculative instrumetns these risks extend beyond investment loss and could include cybercurrency theft. I wonder if the BMA had in mind anything new on the Horizon when the issued this warning. I lost my house and shirt at Crown and Anchor. Wish BMA had put out an advisory! Well they have set a standard now of advising on matters for which they are not responsible, so we can expect more from them like advise on Crown and Achor, and the weekend football. As the Founder of Horizon, we fully support the BMA’s statement. Investing into any company is a risk and the investors should do their due diligence and make sure they fully understand the potential benefits, and potential risks, of what they are buying into. Would you consider the purchase of HRZN tokens to be an investment? I certainly would hope so. It’s our goal that Horizon is a profitable company and as such brings a return to the token buyers. Will you be accepting your own tokens as payment for services on your network? Giving me the option to either hold them as an investment that appreciates in value, or simply as a pre-purchase of future services on your network at a reduced rate? We do have a plan to accept the Horizon token as payment for sure. Having the token also will allow you access to services such as decentralized VPN and data storage we are reserving for those token owners. In short, you will have options on what to do with the token itself. I think Horizon will be successful regardless of crypto currency….sign me up! Thanks for the support. Horizon will be successful, using blockchain and crypto is one of many reasons why. Do your DarrellCoins give ownership in the company? Do we get our cash back if the company fails? What about foreign ownership rules? If 80% of people buying your coins are not Bermudian, how do you operate in Bermuda? Have you got your license yet? How about spectrum? Tower? Transferring voting shareholder rights to token holders is a topic of active conversation, it doesnt yet exist anywhere in the world (to my knowledge) but it is certainly not something I am against. We will be actively watching both the ICO space and working with the BMA how on that structure may work down the road. One of the many questions on is a token voting rights in a company, which at present they are not, is how that would work on both a logistical sense and a regulatory sense. Imagine having to mail out 20,40,60k shareholder documents every year or heaven forbid every quarter? There are many questions to unpack there and that road isnt very well understood. However, to be very clear, selling ownership rights in the company is something we are very open to discussing if and when that pathway opens up. As mentioned if the company makes a profit, we intend to return a strong portion of that to the token buyers. As mentioned in the business plan, we intend to purchase one tower and a building in Bermuda and lease the other towers needed from Gov. Also, in regards to spectrum, we have a strong pathway to obtaining what we need and have found our plans well received by our partners, consultants and expect to work very positively with the RAB in the near future. If you are living in Bermuda want to buy voting shareholder rights in Horizon, I personally would be thrilled, Bermudians should have more ownership in companies they do business with in Bermuda. Please contact me and I will get the paperwork going with our law firm. In fact, as you seem keen on learning more and perhaps investing, please give me your number and I will contact you tomorrow! Don’t companies like Horizon have to file their prospectus with BMA and receive their approval before they can solicit funds from the public? Not to speak for the BMA or our attorneys, but the ICO industry runs extremely similar to ours. The whitepaper, in many respects, is the industries “prospectus”. If the BMA or other regulatory bodies outline specific requirements in the future, we would be happy to comply with those regulations. The balancing act here is how to have an document to attract investors that doesnt cost a startup tens of thousands to put together. Launching an ICO and complying with KYC and AML, putting together detailed financial models, meeting legal requirements, day to day expenses and numerous other things which we have done on our own accord to be in the industry best practice at the outset, all require a very significant amount of capital. If we want to attract new companies to Bermuda, there will hopefully be a balancing act so they can get off the ground, stay compliant with current and future laws and best practices, but not bury them with huge legal and regulatory compliance issues until they are a bit more stable. I would agree, I have stated time and time again that I feel many of the ICO’s out there will not survive in the business world. That doesnt mean they dont have a good idea or deserve a shot, but they need to have a good idea, a great team, enough capital and a unwavering ability to execute. That’s before we dive into companies who have no business plan worth talking about or worse are just out to “pump and dump”. The BMA’s warning I thought was very good. Do you research before investing. Everyone should learn alot more about their investments, including in the “traditional” market. If it walks like a duck and quacks like a duck, chances are it’s a duck. A Bermudian and his money are soon parted! Any get rich quick scheme and Bermudians are there! greed. Bermudians are very much like their heros, the americans. greedy, selfish, racist and bigoted.